Age: 58 Dealer since: 1995 Dealerships: New Country Motor Cars Inc., which includes New Country Motor Cars Mercedes-Sprinter, Hartford Conn.; Mercedes-Maybach of Palm Beach, Palm Beach, Fla.; Mercedes-Sprinter of North Palm Beach, North Palm Beach, Fla. Average monthly Mercedes-Benz sales: 201 new, 113 used Quote: "There was no commitment for management to do more with Autohaus and on their own they developed this extra 0.5 percent margin available to dealers. To me that was an incredible statement of wanting to do the right thing for the dealers who stepped up and invested the money." 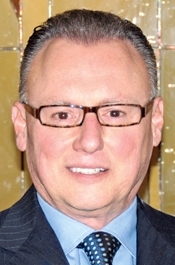 Michael Cantanucci is chairman of the Mercedes-Benz Dealer Board. He owns New Country Motor Cars Inc., whose holdings include two Mercedes-Benz stores in Florida and one in Connecticut. Mercedes-Benz dealers are completing a three-year dealership upgrade program called Autohaus. Participants were paid $400 per car sold -- retroactive to the date their plans were approved -- for participating. That program has been replaced with an extra 0.5 percent margin for Autohaus dealers. A big initiative this year will be developing sales processes and training salespeople to deal with the younger buyer Mercedes-Benz expects to draw with new front-wheel-drive vehicles. These so-called B-class cars are smaller than what Mercedes retailers currently sell. Cantanucci spoke with Staff Reporter Diana T. Kurylko. Q: How was 2010 for Mercedes-Benz dealers? A: It was a very good year. About 95 percent of the dealers were profitable. And 2010 vs. 2009, the net profits were up about 2 percent. The dealer network would agree that it was a healthier business than we have had in years. What will the big issues for Mercedes-Benz dealers be in 2011? We want consistent profitable growth. Primarily, the economy is the biggest challenge. It is volatile, and there no steady rhythm. How much contact do dealers have with factory management? The dealers have close contact with Mercedes-Benz. All dealers in general have good relationships with MB USA executive management and the dealer board in particular -- we work closely with executive management. Do you expect Mercedes dealers to be profitable in 2011? I do expect to be more profitable and the dealer body to experience increased profitability as well. What are Mercedes-Benz dealers doing to attract more service business? There are tools that have been made available in the way of direct mail, doing online marketing to a customer database, watching pricing, staying competitive within your market not only with Tier 1 luxury brands but what other competitors are doing. We are striving to be the best we can be so the service experience is the best. What are Mercedes-Benz dealers doing to attract more F&I business? Dealers are focused on F&I as a profit center, and certainly compliance with lender privacy and dealership practices is important. The public dealer groups have done a wonderful job in this area, and it has been a course for private dealers to emulate -- menu selling with established prices so that mark-up is not discretional. Have dealers noticed the improved quality of Mercedes-Benz cars, and is warranty work down? Absolutely, the dealers have recognized and seen the improvement in product quality. The warranty work is far less than it was in previous years because the product quality has improved so much. How will the Autohaus dealership-upgrade program that ends in June benefit dealers? I am an Autohaus dealer with all three of my Mercedes-Benz dealerships. It is a new fresh look. It is clean. It is a shared look, so that in any market a customer can easily recognize the Mercedes-Benz dealer -- similar to what Lexus and BMW, Audi and Porsche have done. I feel that the upgrade makes the facility's image commensurate with the product. How are you preparing for the new B-class cars coming in 2012? Dealers will put sales processes in place and sales personnel in place to connect with this younger buyer. We will be working as a dealer board to outline objectives for every dealership to follow. These will be common-sense approaches to working with these new perspective buyers and interfacing with them in a manner that they expect. How different will this buyer be? This new buyer will be younger, tech-savvy and will have more demanding expectations in regard to environment. The product will be right-on for this segment, and the dealers will be ready. Have you seen the vehicles? The dealer board visited Stuttgart to look at these new models, and we were blown away by their style, their look, their engineering, the design. We immediately became excited about bringing these models to the U.S. market. Can a Mercedes-Benz dealer sell a small front-wheel-drive car? Absolutely. First and foremost, it's the product. It's a Mercedes-Benz, and the design, engineering and quality will be amazing. They'll be sensibly priced -- I don't want to quote a dollar amount. We have been assured they will be competitive. Do you need a smaller B- and C-class crossover like the BMW X1 and Audi Q3? The GLK has done extremely well. There have been several times when dealers have just been sold out and haven't been able to keep production up to meet demand. Smaller than that? Possibly. What changes in the service and parts programs has Mercedes-Benz made and how have dealers benefited? There was a recent Carlisle parts satisfaction survey and Mercedes-Benz ranked first in the United States. It wasn't so long ago that we were in last place and were sixth just four years ago. Alan McLaren and his team have done an amazing job of providing best-in-class parts to dealers. It goes a long way to satisfying customers when you can get parts to repair vehicles. How is Autohaus helping Mercedes-Benz dealers, aside from the $400 per car payment they got for three years for investing? We began talking about a common and clean contemporary look that is image-commensurate with the Mercedes-Benz product. The retail dealer network has invested nearly $1.4 billion, and approximately 85 percent of the dealers have gone Autohaus. There was an Autohaus bonus of $400 a car that ended Dec. 31, 2010. It could have been paid for up to three years depending on when dealers got their plans approved. Here is an example of executive management and leadership at MB USA that really was a statement to the dealer body that they wanted to do the right thing. Effective Jan. 1 2011, Autohaus dealers will have the ability to earn an additional 0.5 percent of margin. It will consist of two components. 1. Brand standards, which relates to facility, corporate identity, capacity, etc. 2. A sales process for the front-wheel-drive products that will be put into place for dealers to follow to work with that younger buyer. The point is the $400 a car was over. There was no commitment for management to do more with Autohaus and on their own they developed this extra 0.5 percent margin available to dealers. To me that was an incredible statement of wanting to do the right thing for the dealers who stepped up and invested the money. Are dealers happy that Mercedes-Benz has been doing more TV advertising? The dealers are quite satisfied with Mercedes-Benz advertising, what Stephen Cannon is doing as well as the Tier 3 marketing bonus that was put into place. Dealers can earn a bonus on a per-car basis if they meet all of the guidelines and parameters of the program and they spend their money. You have to spend money to qualify to get money back. I know I am advertising more. It is a program that was introduced a short time ago and works well with dealers.